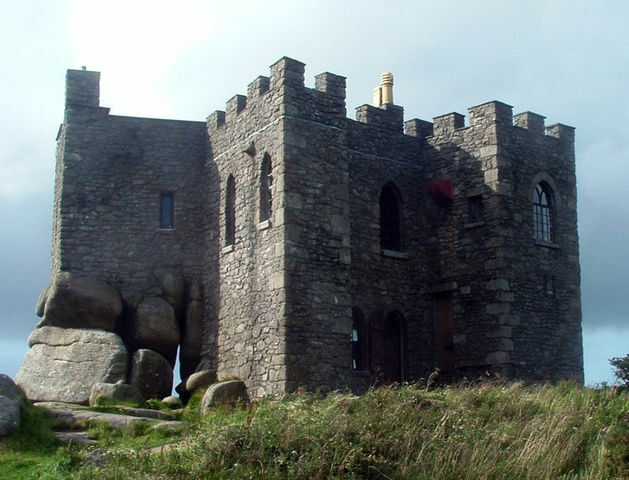 Notes: A 14th-century grade II listed granite stone building which was extensively remodelled in the 18th century as a hunting lodge in the style of a castle for the Basset family. Its use as a beacon for ships was recorded in 1898 when stipulated in the lease, the tenant agreeing to show a light in the north facing window. The castle had periods of disuse and disrepair in the 1950s to 1970s, until private renovation in 1975-1980. The building was classed by English Heritage as grade II listed in 1975.